the parsley thief: Happy Earth Day! 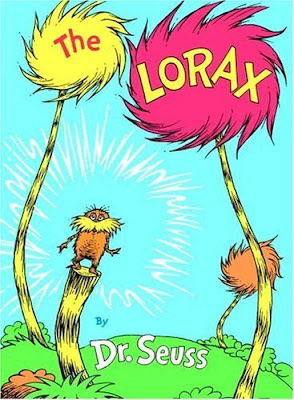 If you'd like to help your wee one learn an important & powerful lesson about the planet & preservation, read them "The Lorax", by Dr. Seuss. It's an all time favorite book in our household. So popular, in fact, that my DH can recite the entire book from memory. Oh this is such a great suggestion! The Lorax is a beautiful book.